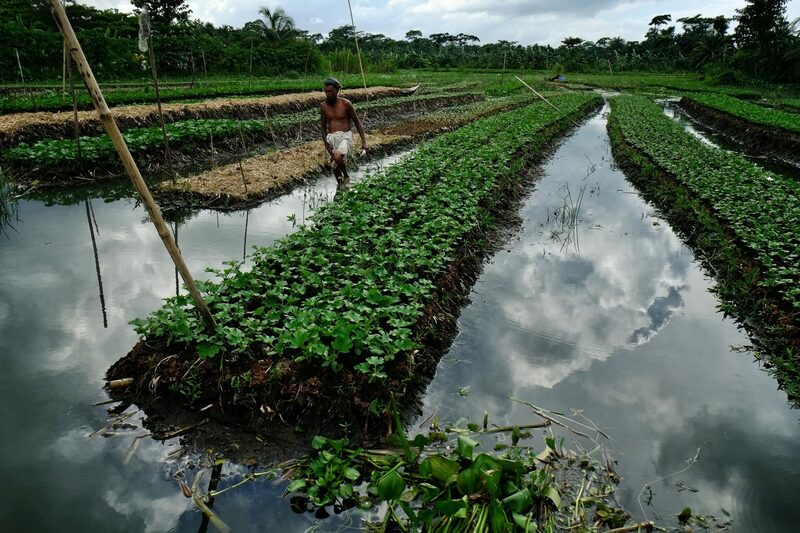 40% of agricultural land in Bangladesh will be lost by 2080 due to expected 65cm sea level rise. 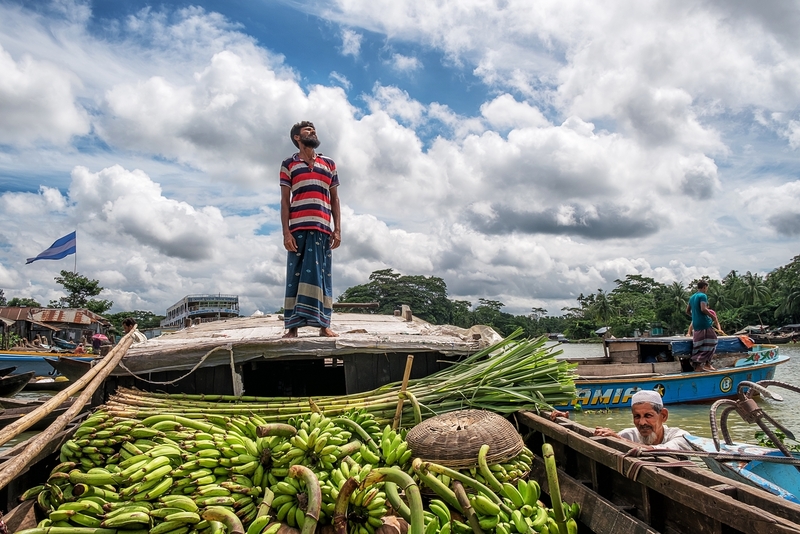 This region could be at the center of one of the world’s biggest food security crises. From coasts, soil salinization, although dramatic, rarely hits the media. 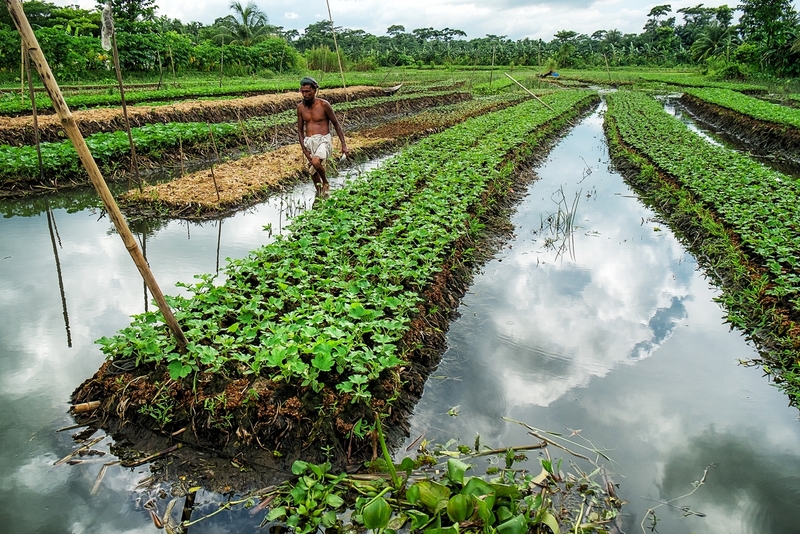 Around 20 million people are already affected by soil and groundwater salinization, with substantial loss in rice production and health problems (diarrhea outbreaks). From inland, changes in monsoon patterns continue to increase floods (in summer 2017, 41 million people hit by floods between Bangladesh and Nepal). As result, deltaic communities feel squeezed between rising waters, their once productive agricultural land reducing year on year. Many are forced to migrate to major towns, some switch to (mostly short-living) shrimps farming business. 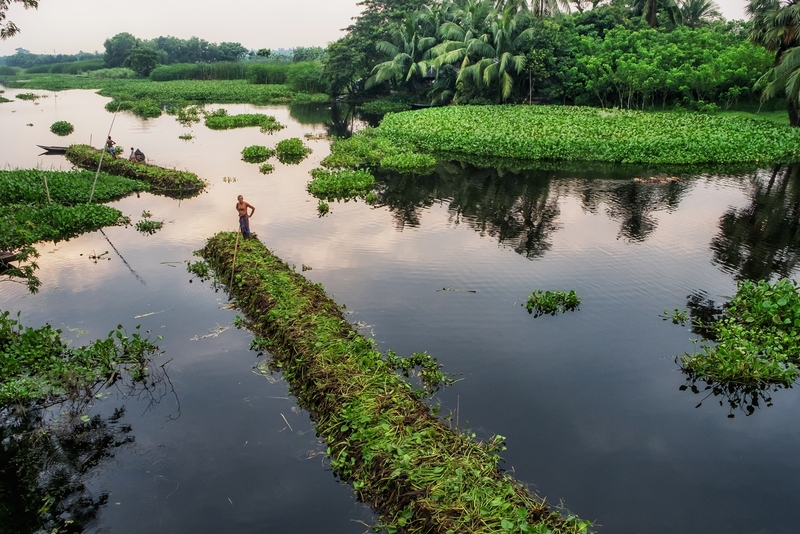 We present innovative climate-smart agricultural solutions to decreasing land productivity in a range of stories of resilience in agricultural productive delta regions in Bangladesh. Major innovation is the floating vegetable garden in which crops and vegetables are grown in beautiful and flourishing soilless floating platforms constructed of locally available materials.